International Draughts Federation IDF in accordance with the calendar of the competitions 2016 holds from 18 to 25 June 2016 in Rimini (Italy) 2nd Stage of World Cup 2016 in draughts-64 – International competition “Rimini-2016”. International grandmaster Dmitry Tsinman won Blitz and Rapid. Vladimir Skrabov won classic program. 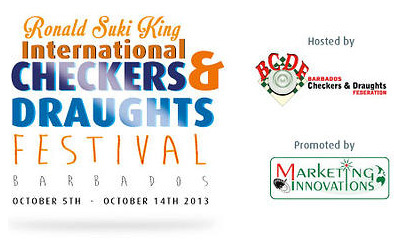 Tournament fee is 60 Euro for adult; 50 Euro for women, veterans 60+, youth 23 year and younger. Double Room: € 20 with breakfast, € 30 half-board, € 35 full board. Triple Room: € 18 with breakfast, € 28 half board, € 33 full board. Applications for obtaining visas and booking accommodation must be submitted to Langina Antonina not later than May 18, 2016 on e-mail: [email protected], tel. +7 921 7777231. 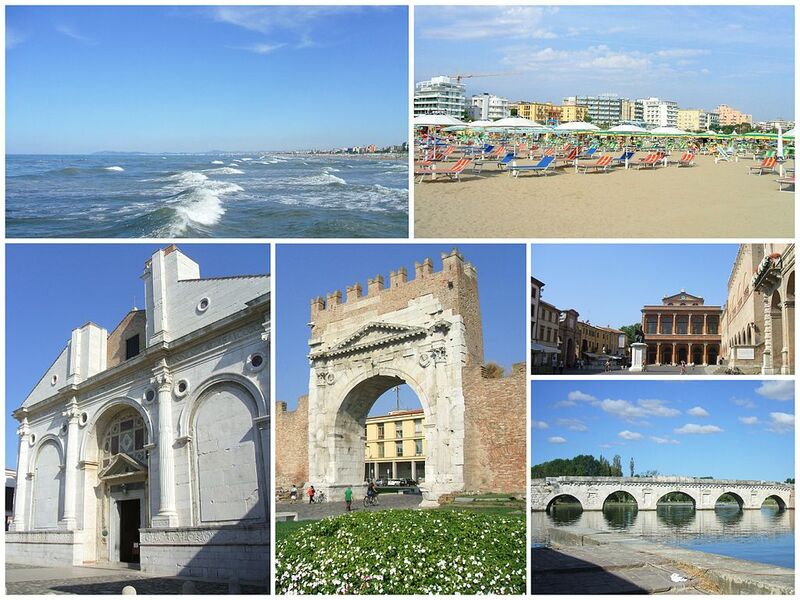 The turnout and registration is at Hotel Trinidad ***, Via Homs, 14 – 47900, Rimini, Italy. I want to congratulate President of IDF Vladimir Langin with the successful holding of the Italian Stage of World Cup. This year the World Cup is held in cooperation with the Foundation “Russian Draughts” (Leader Alexander Gaidukov), which favorably affects the size of the prize fund. For me personally, the second stage was formed ambiguous. Not the most successful performance in the Italian draughts, a disappointing defeat in the last round from Andrey Gnelitskiy in Brazilian draughts which threw me on the fifth place and clear first place in the Russian classic program. Two words about the opponents. Monumentally is solid in all disciplines Dmitry Tsinman, who is rightly leader on this moment in the World Cup. Seeking and almost always finds its chance in the “exotic” types of draughts Andrey Gnelitsky. Pleasantly pleased his fresh game Moldovan Denis Dudco and Oleg Polikarpov from Yaroslavl, recently not often indulgent sporting community with their presence. Dangerous and toothy is young Damir Rysaev. Thank you, Vladimir Langin and Alexander Gaidukov for a good tournament! See you at next Stages of World Cup! 24-06-2016 2nd Stage of World Cup 2016 in draughts-64 ended. International Grandmaster Vladimir Skrabov with a score of 12 points become the winner of the classical program. International Master from Moldova Denis Dudko with a score of 11 points is on the second place. 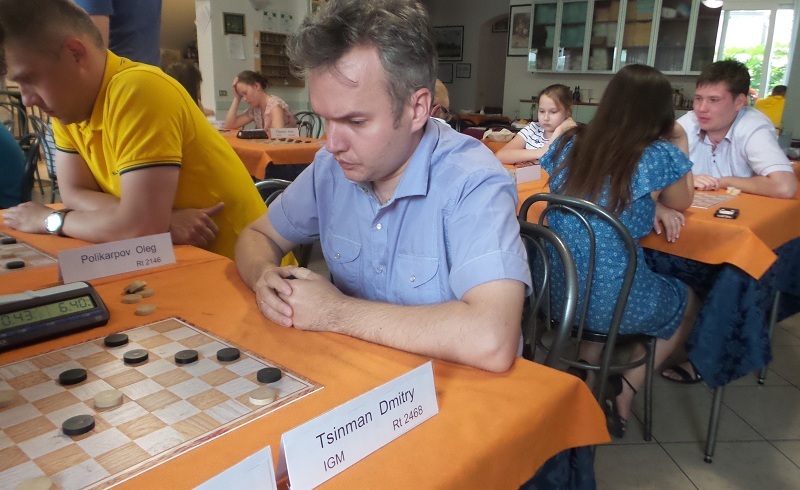 Third place with a score of 10 points took the winner of Rapid and Blitz Dmitry Tsinman, which outstripped on additional criteria Damir Rysaev. Ekaterina Ivanova was the best among women. 23-06-2016 Today was held 3 rounds of classic program. 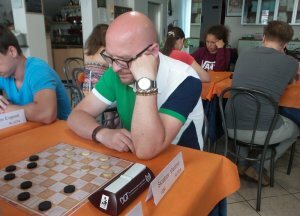 After five rounds ahead is an International Grandmaster Vladimir Skrabov, which won today all games and scored 9 points. 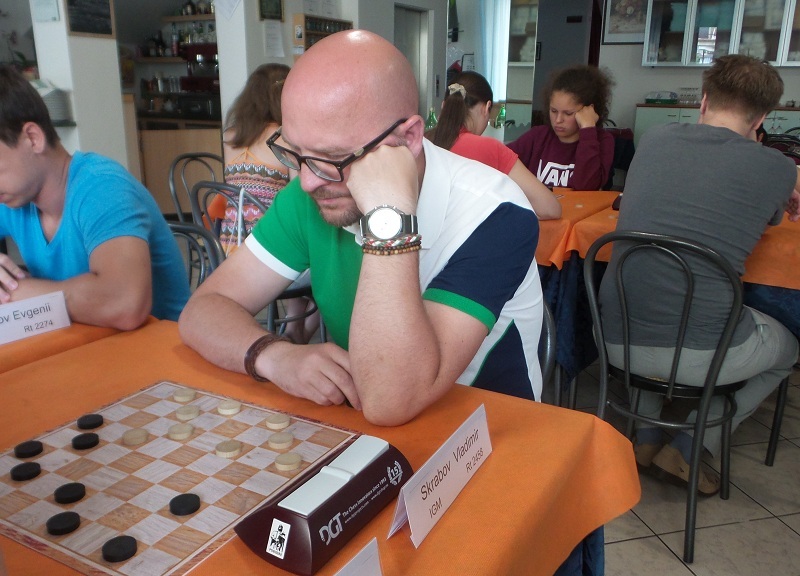 On the second place with 8 points is International Master Denis Dudco. 7 points have Dmitry Tsinman, Damir Rysaev and Andrey Gnelitsky. 22-06-2016 Classic program started. 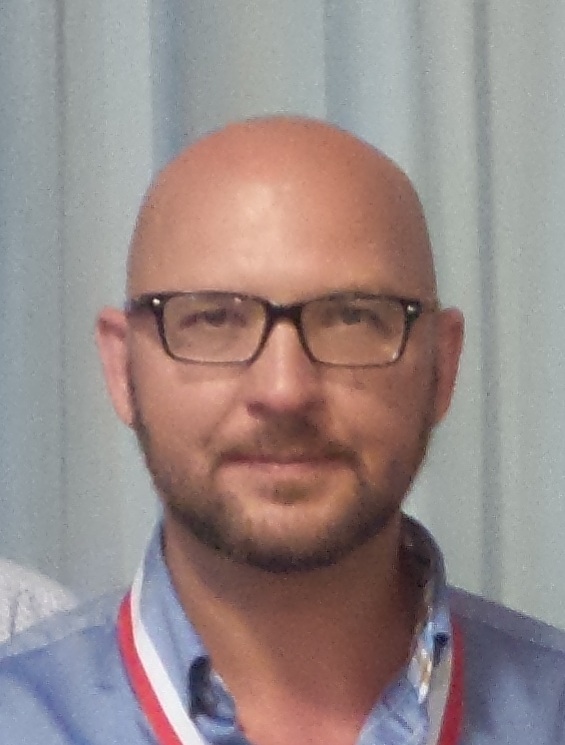 Competitions will be held on the Swiss system in 7 rounds. Two rounds was held today. 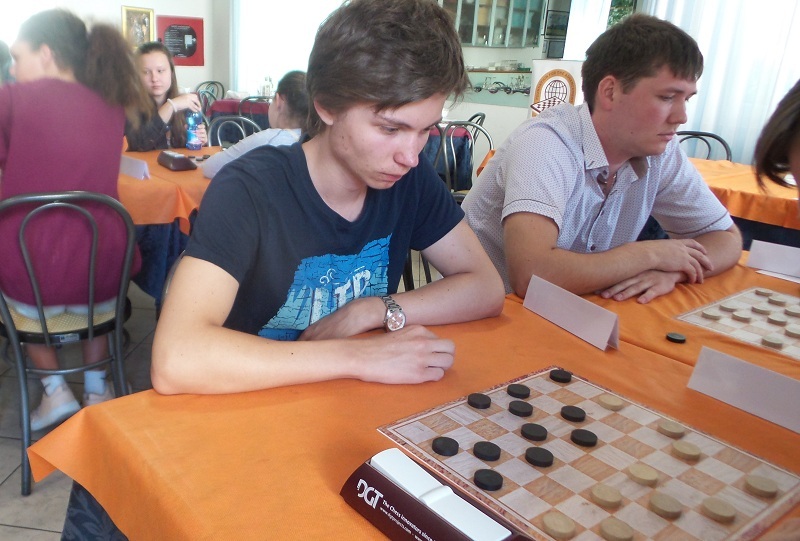 Melnikov Dmitrii and Rysaev Damir won in two rounds, and with the result of 4 points lead in the tournament. Tomorrow, according to the draw they will meet each other in the 3rd round. 21-06-2016 Today on the tournament is day of rest. The participants went on excursions to see the sights of Italy. 20-06-2016 Blitz in Brazilian draughts was held today. At the end of 7 rounds Dmitry Tsinman and Andrey Gnelitskiy scored 11 points. Additional criteria was the best for the more experienced Dmitri Tsinman and he won a second gold medal in the World Cup. International Master Andrey Gnelitskiy took second place. Third place with a score of 9 points on an additional criteria took International Master Denis Dudco from Moldova. Best woman became an International Master from Kazakhstan Altynay Dzhumagaldieva well known for successful performance in the youth and adult world championships. She had 8 points and 8th place in the tournament. 18 players from Russia, Moldova, Estonia and Kazakhstan arrived on the competition. Among them are international grandmasters – Vladimir Skrabov who is winner of World Cup 2015, and the winner of the 1st stage of the World Cup 2016 in blitz and classic game Dmitry Tsinman, as well as strong international masters: Champion of Moldova Denis Dudco, winners of various international competitions – the national grandmaster Dmitry Melnikov, Damir Rysaev, Ekaterina Ivanova (all Russia), Altynay Dzhumagaldieva (Kazakhstan). Opening of the competition was held at 14.00 and started Rapid program in Italian draughts, which traditionally takes place in the Italian stage of the World Cup. International grandmaster Dmitry Tsinman took convincing victory with a score of 13 points from 14. The second representative of the Kazan International Master Andrey Gnelitskiy made on two draws more and with a score of 11 points took second place. The fate of the third place was decided in the last round. Longtime opponents Damir Rysaev and Dmitry Melnikov before the last round have equal points and equal criteria. In the last round Damir Rysaev won and Dmitry Melnikov played in a draw, which allowed Damir Rysaev with a score of 10 points to take the third place in the table. In women, the best result was shown by Ekaterina Ivanova. She had 8 points and 7 place in the table. The prize fund of the 2nd Stage of World Cup will be upgraded up to 1,500 euros.